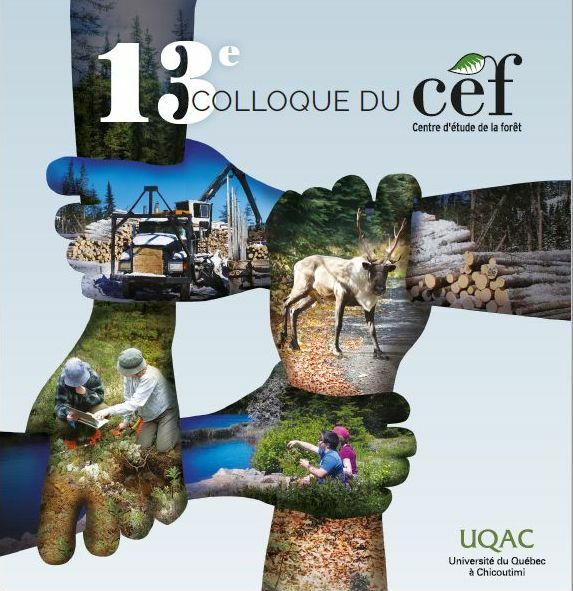 Gaboury, S., Boucher, J.F., Villeneuve, C., Lord, D. and Gagnon, R. (2009) Estimating the net carbon balance of boreal open woodland afforestation:	A case-study in Quebec's closed-crown boreal forest. Forest Ecology and Management, 257(2):483-494. Black spruce (Picea mariana (Mill.) B.S.P.) is the dominant tree species	in the Canadian province of Quebec's boreal ecosystem, particularly	in the black spruce-feathermoss (BSFM) domain (between the 49th and	the 52nd parallels). While black spruce is generally well adapted	to regenerate after wildfires, regeneration failure can sometimes	occur, resulting in the irreversible conversion of closed-crown BSFM	to open black spruce-lichen woodlands (OW). With OWs representing	approximately 7% (1.6 M ha) of Quebec's BSFM domain, the afforestation	of OWs carries significant theoretical potential for carbon (C) sequestration,	which has not yet been evaluated. The main objectives of the study	were then: (i) to estimate the theoretical C balance of OW afforestation	within the closed-crown BSFM domain in Quebec's boreal forest; (ii)	to calculate, using the life cycle analysis (LCA) method, all the	GHG emissions related to black spruce OW afforestation in the closed-crown	BSFM domain of Quebec. The CO2FIX v. 3.1 model was used to calculate	the biological C balance between the baseline (natural OW of site	index 9 at age 50) and afforestation (black spruce plantation of	site index 6 at age 25) scenarios, using the best estimates available	for all five recommended C compartments (aboveground biomass, belowground	biomass, litter, deadwood, and soil). The simulation revealed a biological	C balance of 77.0 t C ha(-1), 70 years following afforestation, for	an average net sequestration rate of 1.1 t C ha(-1) year(-1). Biological	C balance only turns positive after 27 years. When integrating the	uncertainties related to both the plantation growth yield and the	wildfire disturbance, the average sequestration rate varies between	0.2 and 1.9 t C ha(-1) year(-1). GHG emissions are 1.3 t CO(2) equiv. ha(-1) for all afforestation-related operations, which is less than	0.5% of the biological C balance after 70 years. Thus, GHG emissions	do not significantly affect the net C balance of the afforestation	project simulated. Several recommendations are made, mostly centered	on the factors influencing the growth rate of carbon stocks and the	impact of natural disturbances, to minimize the range of uncertainties	associated to the sequestration potential and maximize the mitigation	benefits of an OW afforestation project. (C) 2008 Elsevier B.V. All	rights reserved.